Broken dryers make doing laundry a drag. It doesn’t have to be that way. One single phone call to our team and a rep will hook you up with a pro for dryer repair in Thousand Oaks, California. There is always the question of what made your dryer vibrate, take long to dry, or fail to run at all. Always remember that there are solutions to problems. But you will need an expert pro for that. Give us a call at Appliance Repair Thousand Oaks CA and we will provide the best dryer repairman in a timely fashion. 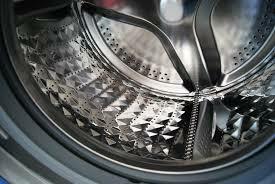 We only work with expert Thousand Oaks dryer repair pros that have the skills to troubleshoot and define appliance problems. Trust them to respond quickly. Since our company picks all pros with attention to their expertise and overall qualifications, expect high quality work. Not all dryer problems are easy to fix. Some might also become the reasons for fires if they are not repaired quickly. Call us and we will arrange the service today. A pro comes prepared to fix any dryer. From electric washer and dryer repair to gas top load units, the techs are trained to service any model and brand. They are ready to fix minor issues, replace parts, and deal with complex problems. In any case, the dryer will be fixed. Want to schedule dryer service to prevent future troubles? It makes perfect sense. And we are here to arrange such services too. Every time you use your dryer, clothing leaves behind lint. That’s enough to clog the appliance if it’s not removed from the lint trap and vents. And that’s not all a pro will do during the maintenance. The job includes checking all parts and taking care of any minor problem to prevent worst. Enjoy a new dryer by arranging its installation at our company. We send pros with great dryer installation experience. Did you get a regular dryer? Want to install stackable units? Is this a combo? Trust that the installation service will be done properly for safe operation. Dryer problems might be small, big, complex, rare and common. In each and every case, you will need an expert to troubleshoot and provide the right service. Call us now and a dryer repair Thousand Oaks expert will be helping you shortly.